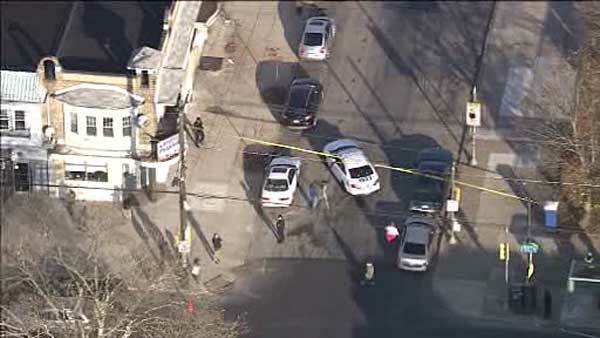 Police are on the hunt for a suspect who they say shot a man in the mouth in Wynnefield section of Philadelphia. WYNNEFIELD (WPVI) -- Police are on the hunt for a suspect who they say shot a man in the mouth in Wynnefield section of Philadelphia. The incident happened around 2:30 Tuesday afternoon on the 5300 block of W. Berks Street, right across from the William B. Mann Elementary school. Police say a man in his 20s was shot one time in the mouth. The victim was taken to Presbyterian Hospital for treatment. Anyone with information is asked to call Philadelphia police.